I received my MA and PhD from the University of British Columbia, Canada, and my BA from the University of Tehran, Iran. Before coming to the University of Alberta, I worked at Saint Mary's University in Halifax. I also worked as a journalist in Iran during my undergraduate studies. If I had to spend a year on an island and were only allowed to take a scholarly book and a literature book with me, it would probably be Freud's Introductory Lectures on Psychoanalysis (a book I haven't read yet) and Saadi Shirazi's Golestan. Neither of these has directly influenced my work. 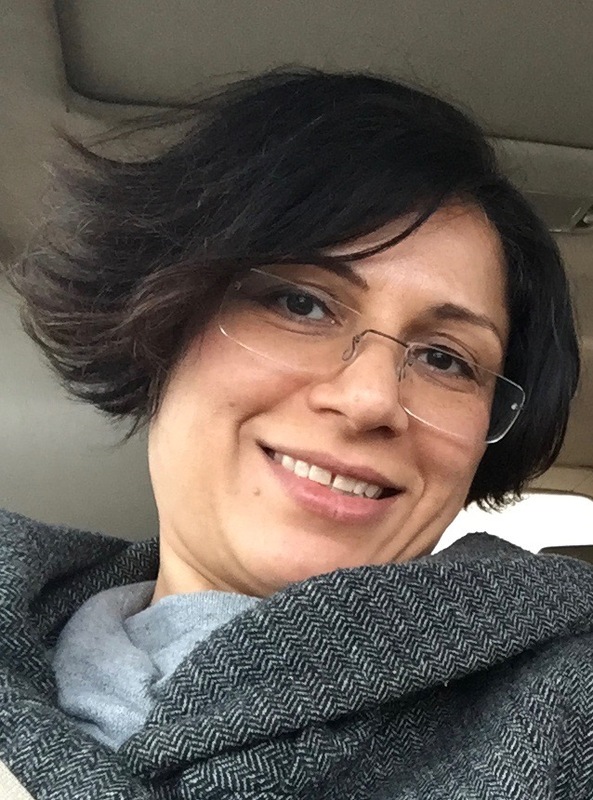 My research interests include history of sociology, knowledge and power, law and society, sociology of death and dying, sociology of Iran, interconnections of sociological research and social policy. I investigate how things become ‘problems’. Sociologists study social ‘problems’, such as class, power, labour, gender, death, suicide, inequality, from empirical or theoretical points of view. I study how these things have become ‘problems’ to begin with. My research is primarily historical and focuses on the pre-classical period of sociology: mid-17th to mid-19th centuries, especially the statistical tradition in the UK. My research interests were shaped by my first major project, which examined how death became a problem for early modern scientists, especially statisticians and demographers. This problematization transformed death from a divine ‘fate’ into a calculable ‘risk’. This project focused on how the invention of statistics in Western Europe and its application to the topic of mortality enabled a new cultural approach to death characterized by a desire to make death more quantifiable and therefore more ‘orderly’, predictable and preventable. Building on that early project, I have carried out a SSHRC-funded project, entitled ‘Statistics and the Genealogy of the Sociological Imagination, 1662-1897. The main objective of this project is to argue that the domain of sociological analysis as well as its most central theoretical and methodological debates originate as far back as the late seventeenth century. Far from engaging in a mere historical dispute over key figures and breakthrough moments, this study will seek to relocate the epistemological foundations of social thought from the urban anxieties of the nineteenth century as defined by the emerging awareness of the socio-cultural crises of the industrial societies, and place it, instead, in the security concerns of the early modern nation-state building phase. Within this context, the fields of ‘political arithmetic’ and bio-social statistics provided a discursive framework within which it became possible to identify and study aggregate dynamics and structures underlying seemingly individual episodes. These developments did not amount to or directly result in the creation of the discipline of sociology, yet, they made it possible to conceive of the ‘population’ and later of society itself as a relatively unitary (and potentially quantifiable) phenomenon and thus as a category of systematic analysis with its own laws and dynamics. I am also interested in the history of sociology in Iran as a case of the global expansion of the social sciences in the post-WWII period. In particular, I have examined the political role of sociology and social thought in Iran in several of my recent writings. Lastly, and in relation to the two streams mentioned above, I am interested in the interconnections of research and policy-making. If sociology creates new ‘problems’ from previously taken-for-granted aspects of life, it does so with the expectation to influence how these aspects of life are acted upon. These expectations are greater when sociological research and problematization is funded by state, NGO, or private sector agencies. To ask how sociology influences policy-making is also to ask how external funding influences sociological research. I primarily teach courses in social theory. My guiding principle in teaching is that theoretical and applied teaching are inseparable. A rich theoretical education will help student develop critical thinking, information gathering, synthesizing, and writing skills. I prefer to teach primary texts rather than secondary sources. When possible, I try to teach a whole classical book from cover to cover so students can appreciate the process through which big ideas emerge and develop. On a given day, we might watch movie clips, write short fiction to illustrate theoretical points, or have class discussions. I use PowerPoint begrudgingly. I have yet to see its educational value but some students seem to love it. Writing is a big part of my courses and I tend to allocate a lot of time trying to teach students how to properly form a position and develop and argument on a topic. My favourite course is social theories of violence. My biggest teaching wish is to one day teach a theoretically-oriented course on death and dying.